Since we launched The New Atlantis, questions about human enhancement, artificial intelligence, and the future of humanity have been a core part of our work. And no one has written more intelligently and perceptively about the moral and political aspects of these questions than Charles T. Rubin, who first addressed them in the inaugural issue of TNA and who is one of our colleagues here on Futurisms. 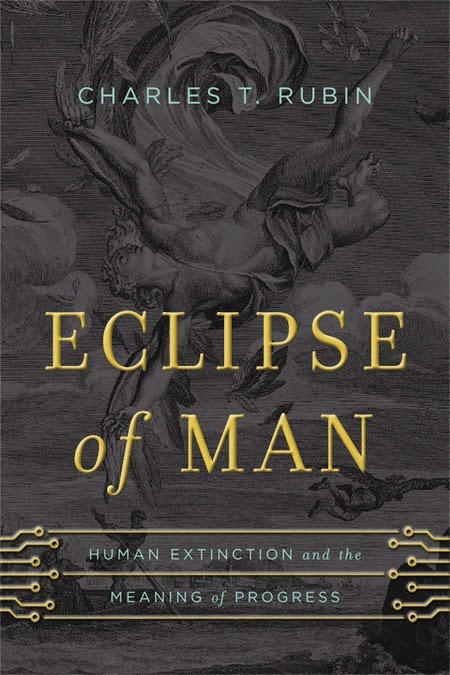 So we are delighted to have just published Charlie's new book about transhumanism, Eclipse of Man: Human Extinction and the Meaning of Progress. 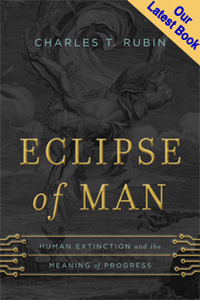 We'll have much more to say about the book in the days and weeks ahead, but for now, you can read the dust-jacket text and the book's blurbs at EclipseOfMan.net and, even better, you can buy it today from Amazon or Barnes and Noble.